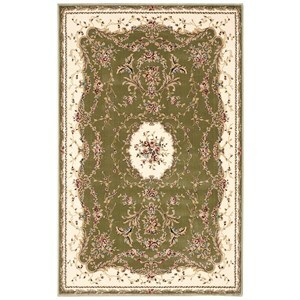 This lovely baroque area rug from the Bordeaux Collection presents a clarity of design that is breathtaking in its beauty. An abundance of tender roses creates an ambiance fresh as Spring. 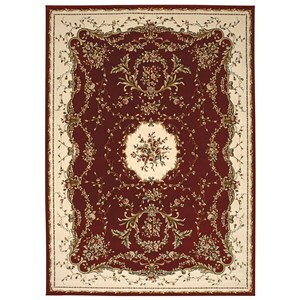 Stunning in slate blue, with burgundy and gold details on an ivory ground. 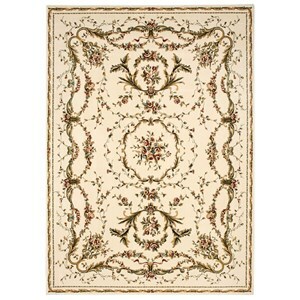 The slender border is an elegant finish. 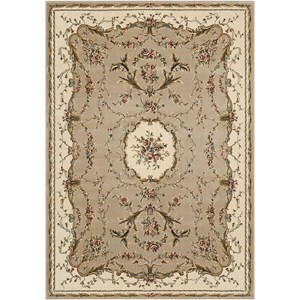 The Bordeaux 3'9" x 5'9" Slate Blue Rectangle Rug by Nourison at Baer's Furniture in the Ft. Lauderdale, Ft. Myers, Orlando, Naples, Miami, Florida area. Product availability may vary. Contact us for the most current availability on this product. Browse other items in the Bordeaux collection from Baer's Furniture in the Ft. Lauderdale, Ft. Myers, Orlando, Naples, Miami, Florida area.